Background Image Via: Forthevline/Wikimedia Commons. Used under Creative Commons 2.0. The term 'Spursy' has become synonymous with multiple Tottenham Hotspur slipups over the years. Personally, I find the phrase has often been overused, as right now, pretty much 80% of the Premier League would kill to be in their position. Anyway, for whatever reason, the name tag has stuck. It stems down from the fact that they infamously 'finished third in a two-horse title-race' a few seasons ago, while often getting knocked out of tournaments before they reach their pinnacle. Now, though, they have a real chance to silence their doubters, thus losing an unwanted nickname in the process. It all starts tonight. Mauricio Pochettino is, slowly but surely, building a legacy in North London. He has formed a super-talented squad which is more than capable of competing against any side in the world, just look at what they did to Borussia Dortmund over two legs, while Manchester City would have preferred an easier draw in the Champions League last eight. White Hart will be bouncing, Pep Guardiola's men could be in for a shock, Spurs' style is one that thrives upon swashbuckling, front-footed football. Expect the home side to see the majority of the football. They'll be looking to put on a show in their Champions League debut while residing in their new home. It'd take a brave man betting against them doing exactly that this evening. Spurs now find themselves in a four-way battle for the last two places. As of right now, they sit in fourth place while holding a game in hand over Chelsea. Pochettino's boys are in the driving seat. The Argentine mustn't allow the wheels to fall off. On paper, their fixtures look pretty good when comparing them to Spurs' rivals, thankfully, Arsenal, Chelsea and Manchester United are also still battling it out across the continent, too, which also plays into their hands. For what it's worth, Spurs should play their way into a Champions League berth and I genuinely think it's a toss-up between them and City in their last eight tie which kicks off later. If reaching the business end of major tournaments is now being labelled 'Spursy', then well, that's a tag their fans probably live with, although it would be nice to silence the haters by scooping a major trophy. With their stadium comfortably the best in the country, achieving a top-four finish or enjoying a proper Champions League run could signal the dawning of a new era for Tottenham Hotspur. 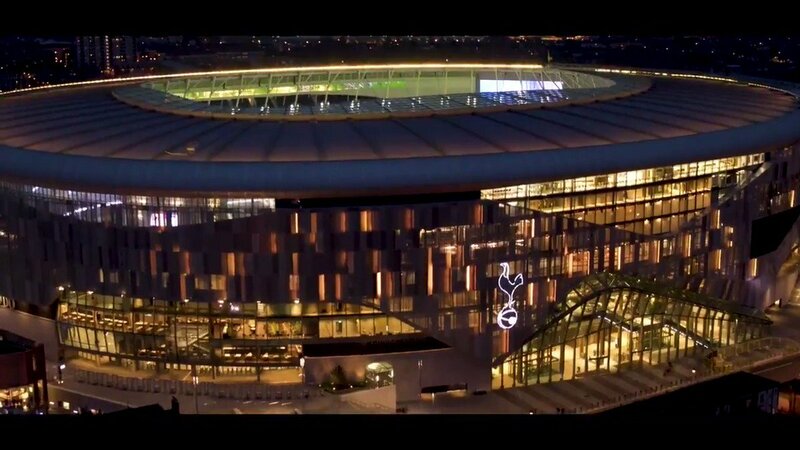 Make no mistake about it, they're a team on the up rather than one on the decline, but it's going to take some financial backing from Daniel Levy; although that's not going to be easy given the cost of their swanky new home. He must dig deep and give this club and these fans something to cheer for. It's the least they deserve.